Long gone are the days where our parents were used to a few pictures under the tree shortly before the ceremony in the local church with food prepared by the ladies of the church! Can you believe that that was the norm not too long ago! Being a wedding photographer has become somewhat of an art. Brides and grooms are now portrayed as models and icons the way they have never been before. That is what makes being a wedding photographer so much fun. Now the photographer has free range to do what he or she likes and to make the couple look as good as possible. Of course the bride and groom has their input and way they would like the images to be, but it is the job of the photographer to make them feel as comfortable and relaxed as possible while at the same time make them look like superstars! Being a wedding photographer requires a keen eye for light and detail. No angle can be left unused and not a second can be wasted in capturing the perfect moment. It takes just one moment for the rest of the wedding couples lives. 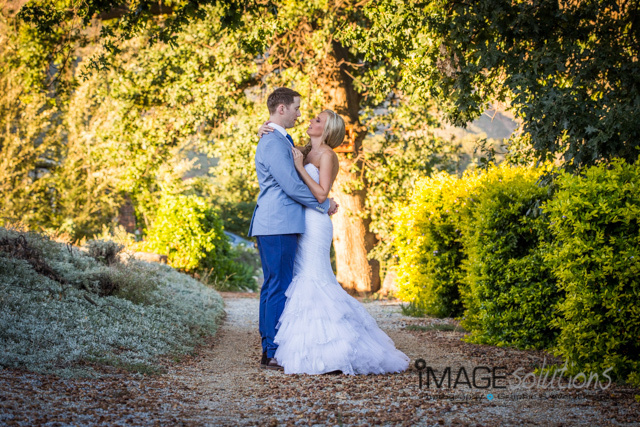 Our approach to being a wedding photographer starts the moment the couple contacts us. The most important thing on any wedding day (apart from saying “I do”) is the timing. If the timing is off, a lot of things can go wrong very quickly. 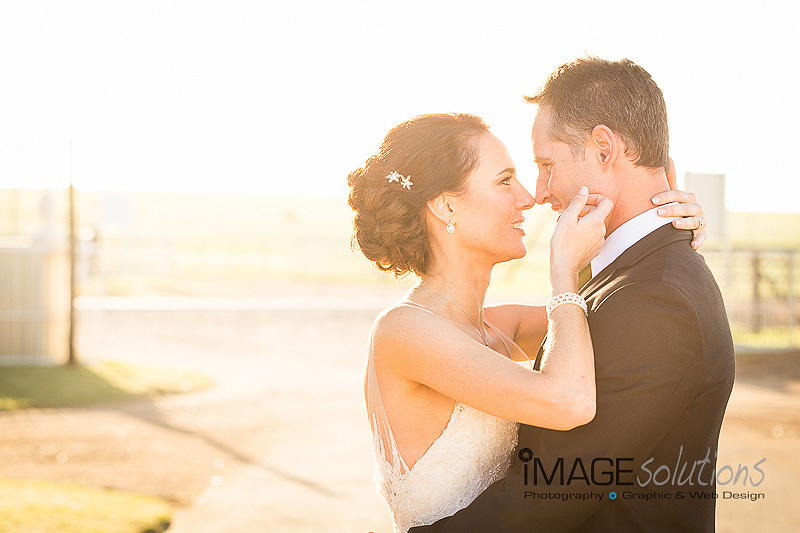 It is therefore important for us as Image Solutions Photography and Design, to know the date and venue of the wedding. We can from that information, calculate the correct time of the day the service and photographs should take place. As with any perfect moment, the time of day for photography plays one of the most important roles. When that is organised, the rest should fall into place rather easily. Our day as a wedding photographer will start with focusing on the decor and surroundings to make sure that there is no distraction once the action begins. Normally the bride gets her hair and make-up done, which makes it perfect to start with her and the whole process of making her even more beautiful than she already is. After that the focus can go to the husband to be and his best men. So onwards towards the ceremony, the individual couple photography session with just the couple, and then party afterword. Of course none of these things are set in stone as some couples prefer to have the groom pictures first and vice versa. Not to worry though, all will be arranged well before the time to ensure there are no hidden items for the big day. After all, the last I wanted on my wedding day was to be stressed and worried about the arrangements and the other stuff. I just wanted to enjoy my day and kiss my bride! I am sure you would like the same. Let Image Solutions Photography and Design take the stress away from your day in the knowledge that you can relax and have fun with us while we capture your day with style and elegance. Feel free to browse though our gallery or alternatively you can visit our blog for feedback and comments. You can also visit our facebook page.